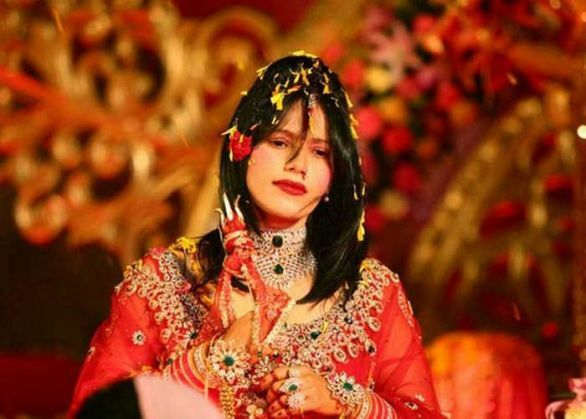 The Bombay High Court on 29 September questioned the Kandivli police as to why it called self-styled Godwoman Radhe Maa for investigations and ignored probing the complainant's in-laws who are facing allegations of dowry harassment. Justice Revati Mohite Dhere, while hearing the anticipatory bail application of Radhe Maa stated, "It seems a little strange that you (police) seek custody of the applicant (Radhe Maa) but not of the main accused - the in-laws and the husband." The statement came after the police informed the court that Radhe Maa was called to the police station five times for interrogations. However, no notice has been issued to the complainant's in-laws and husband, who have been granted anticipatory bail by the Sessions Court. Continuing the interim relief granted to Radhe Maa, the court directed the police to call her as and when required and not every Wednesday, as the earlier order had stated. The court also asked the police to explain why it was seeking custody of Radhe Maa, considering she was not a relative of the complainant, as defined under section 498 (A) of the Indian Penal Code. As per the section, husband or relative/s of the husband of a woman subjecting her to cruelty can be punished. The court has adjourned hearing in the matter till 5 October.